Super Sharp!! 2011 Dodge Dakota Bighorn Crew Cab 4WD, power windows and locks, AM/FM/CD/MP3 stereo, new tires, and tow package. You can view over 80 photos of this Dakota on our website at PuebloUsedCars.com. Priced at over $40k when it was new this Dakota is a great buy. It is in great shape and with an excellent service history showing on the Carfax this truck has clearly been well maintained. The 4.7L V8 is strong and smooth and the automatic transmission with over-drive is matched to it perfectly. This Dodge Dakota 4x4 has cloth interior and it's in excellent shape and all of the power options work properly. The exterior is equally nice with no large dents, dings, or scratches. Over-all this truck is in much better shape than most 2011 pickups. If you are looking for a pickup at a price that won't break the bank then check out this 2011 Dodge Dakota Bighorn Crew Cab 4WD. 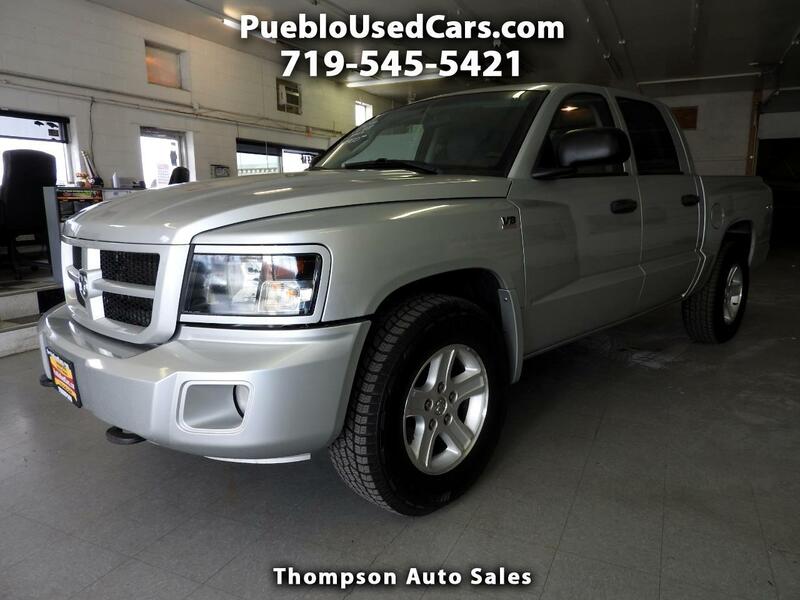 You can see it in person at Thompson Auto Sales - 525 W 5th St in Pueblo, CO. Please call us with questions at 719-545-5421.